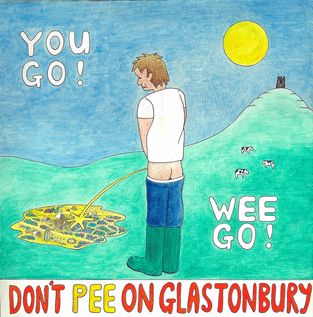 Glastonbury Festival’s EMERGING TALENT COMPETITION 2013 will give new, unsigned artists from the UK and Ireland the chance to compete for a main stage slot at this year’s Glastonbury. Acts from any musical genre can follow in the footsteps of previous ETC entrants, who include Stornoway, Scouting For Girls, We Have Band, the Golden Silvers, the Subways and the winners of the last contest, in 2011, Treetop Flyers. Acts will be able to enter FOR ONE WEEK ONLY from 9am on Thursday 17th January until 5pm on Thursday 24th January. Entries to ETC2013 are free. To enter, acts will simply need to supply us with a link to listen to one of their songs online (on YouTube, SoundCloud, Bandcamp, etc). The entry form will be right here on the official Glastonbury website. Once the entries are in, a panel of 40 of the UK’s best music bloggers will help compile a longlist of 120 acts. The longlist will then be whittled down to a shortlist of eight artists by judges including Glastonbury organisers Michael and Emily Eavis, before the live finals in Pilton in April decides the winning act.